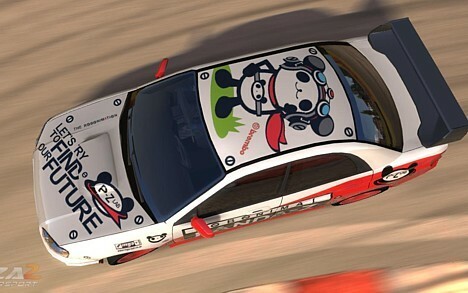 Since the release of the Forza Motorsport 2 racing sim for Xbox 360 several weeks ago, players worldwide have been using the in-game custom paint function to create incredible designs for their cars, which they can either race online or buy, sell and trade through the game's virtual auction house. 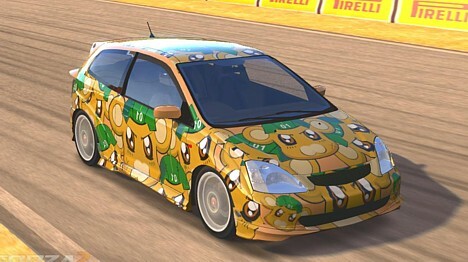 Japan�s digital racers have been in on the fun from the start, turning their virtual rides into magnificent itasha that scream otaku pride. 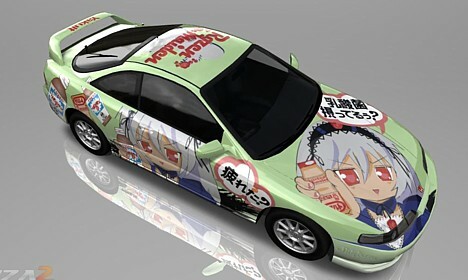 Here are links to two enormous online galleries (Gallery 1, Gallery 2) of virtual otaku-mobile paint jobs incorporating loads of Japanese-flavored eye candy, from anime and manga to games, food packaging and more. What makes these detailed paint jobs even more impressive is the fact they are created entirely with the game's basic paint tools -- a limited selection of vector shapes that can be colored, scaled, rotated and layered endlessly to create complex designs. Graphics cannot be imported from external sources, so everything is created manually step by step in what is undoubtedly a time-consuming process.